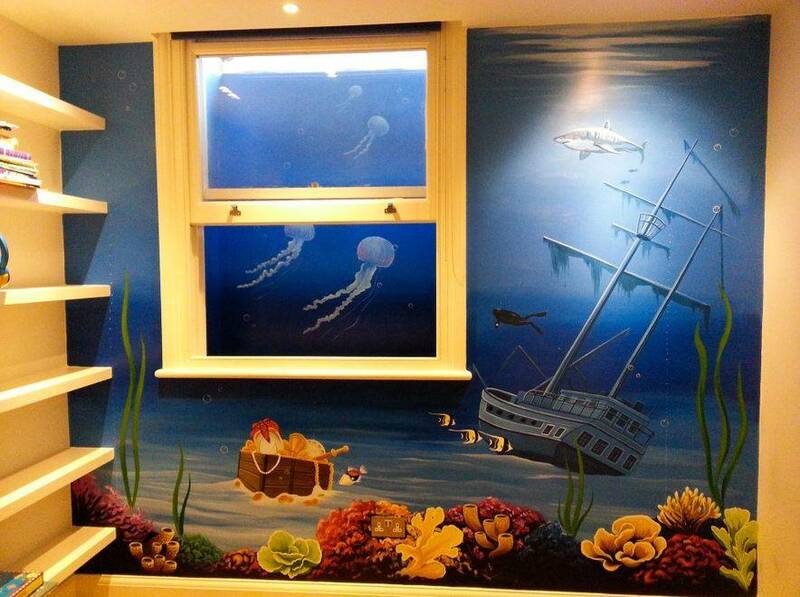 This underwater mural was painted in three days in a basement flat in Notting Hill. We included bright colourful coral with a sunken pirate shipwreck, a diver, a shark, a chest of treasure and lots of jelly fish. These were painted on an outside wall that the bedroom window looks out onto and gives the whole scene depth.